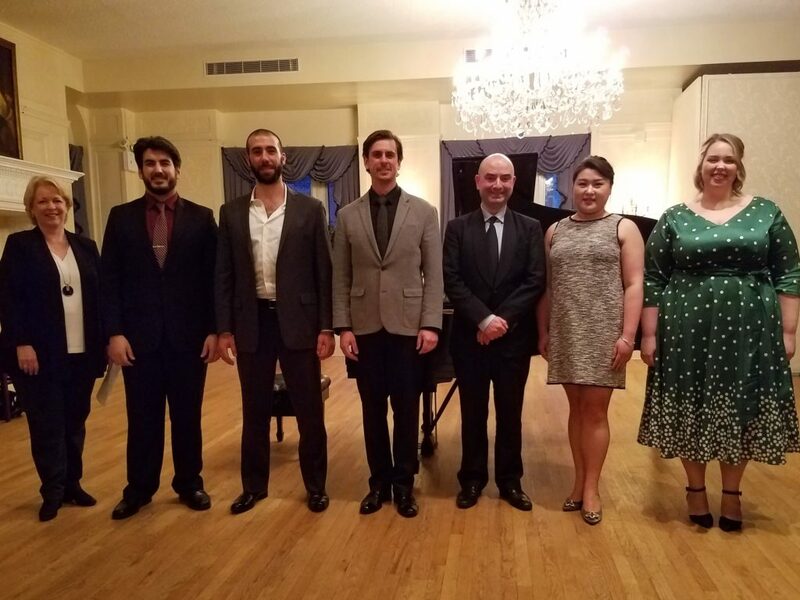 The Young Artist Vocal Institute Concert Series was established in 2019 to continue assisting and mentoring young artists with the financial support they need to pursue their craft and excel in the world of opera. The concert was being presented in lieu of the International Vocal Competition 2019. The series continues on April 26th and September 27th 2019. 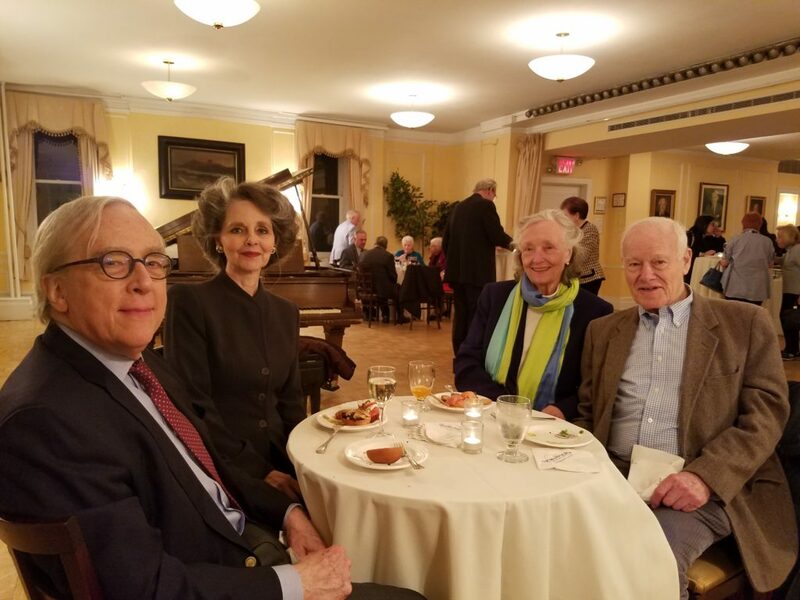 The event took place on Friday evening, March 29th at the elegant Liederkranz Foundation in New York City where Philipp Haberbauer is the General Manager. Philipp Haberbauer – Liederkranz General Manager. 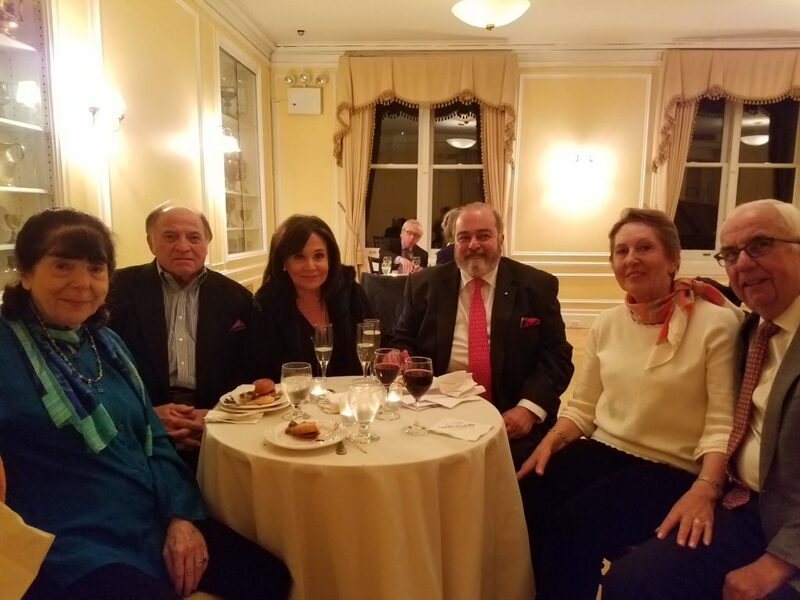 The Gerda Lissner Board of Directors and Board of Trustees consists of Stephen De Maio President, Michael A. Fornabaio Vice President and Treasurer, Cornelia A. Beigel, Secretary and Trustee, Karl Michaelis and Barbara Ann Testa,Trustees. 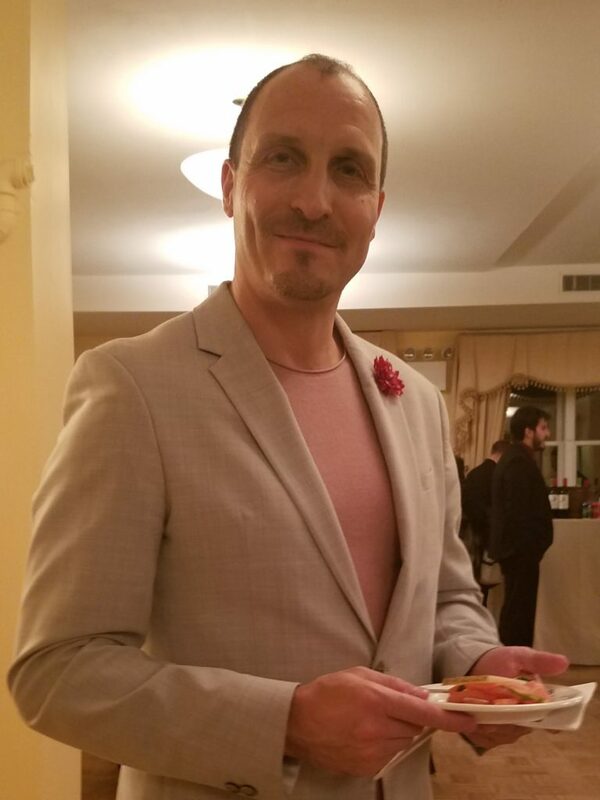 (Ms. Testa could not attend) Karl Michaelis announced that Stephen De Maio sends greetings to all and regrets not being able to attend. Midge Woolsey of WQXR Radio and Channel 13 fame was the host of the evening. 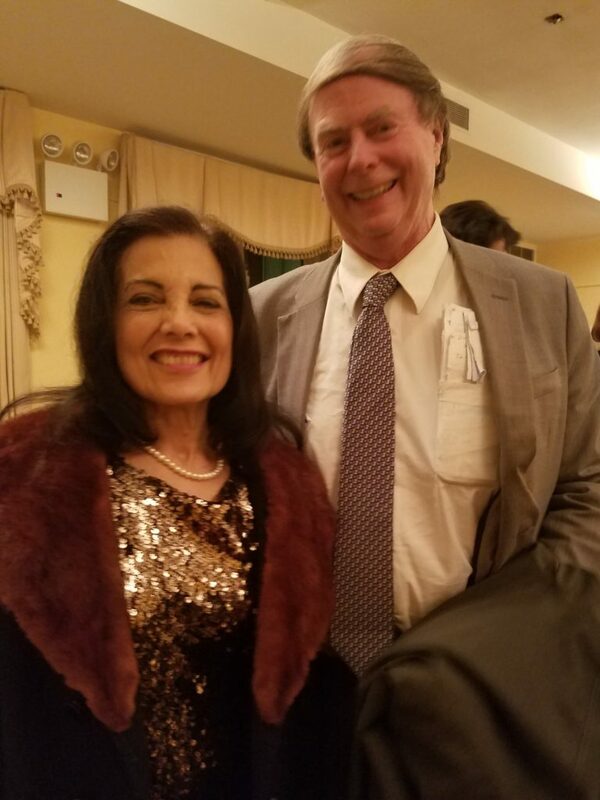 Ms. Woolsey works in the development of the concert series at Saint Thomas Church on 5th Avenue in New York City and on the advisory boards of the Martina Arroyo Foundation and Opera Index among others. 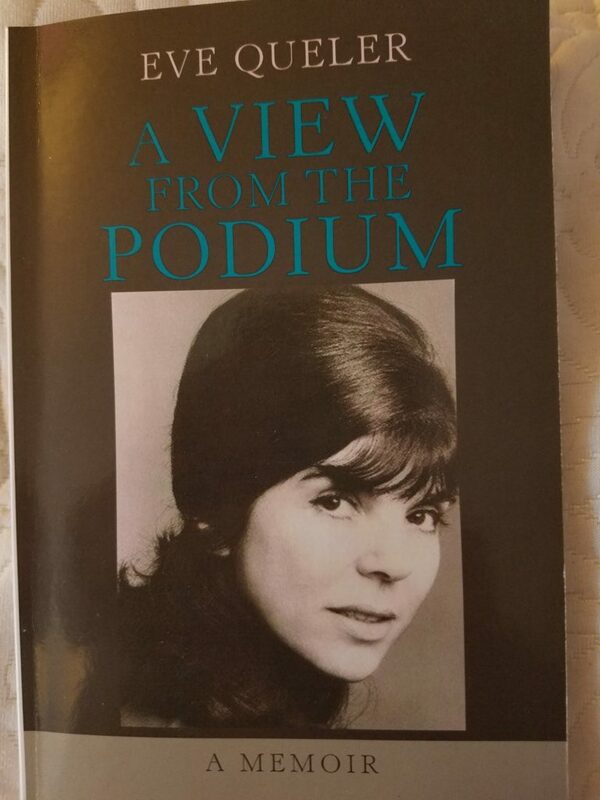 Midge Woolsey mentioned how George Jellinek and his program “The Vocal Scene” motivated her to do what she does best. George Jellinek was truly a pioneer in the radio business and brought many listeners to WQXR for his wonderful work. His fabulous collection of recordings was motivational. The concert began with baritone Timothy Renner, from the Academy of Vocal Arts and a pupil of Bill Schuman. Mr. Renner’s offering was of “Pierrot’s Tanzlied” from Die tote Stadt by Korngold whose Hollywood musical scores revealed a composer deserving of acclaim by an audience not just viewing a film. Mr. Renner is the possessor of a large baritone voice not quite suited for the refined elegance needed for this particular aria. His second selection was the “Petersburgian Song” by Sviridov brought back memories of opera and film baritone Nelson Eddy in Balalaika and what sounded like two glorious B flats. For beautiful Ilona Massey, Mr. Eddy’s glamorous co-star, the passion of his selection was vital. Mr. Renner really shined in this performance. His supreme singing was brought out by this rousing number. Vartan Gabrielian, bass-baritone (Curtis Institute of Music) sang Aleko’s Aria from Aleko by Rachmaninoff. His big cavernous sound overwhelmed and impressed but the more subtle aspects of this very young Rachmaninoff were lost in the thunder. His second number by Rachmaninoff, “Now is the Time” perhaps breaking free from Russian life for a nomadic Gypsy life is a wish of most who seek their Bali Hai but it was very well done and suited the beautiful depth of his voice to subterranean spheres. Soprano Meghan Kasanders, (The Julliard School) sang the aria of Donna Anna “Or sai chi l’onore” from Mozart’s Don Giovanni with a compelling timbre. There is an abundance of strong passionate singing. 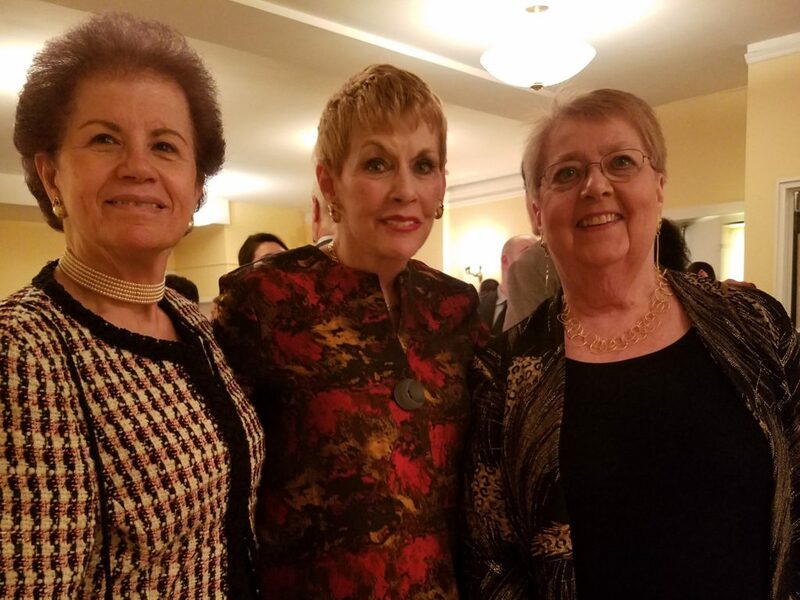 Ms. Kasander’s fulsome sumptuous soprano, has a treasure chest of rich tone and dramatic flair that keeps pulling me into a current that says I also want to hear her in Italian repertoire – Aida, Santuzza, Amelia, both Leonora’s. I want someone to open the floodgates for this voice of untapped pathos and passion. Her song, “Von ewiger Liebe” by Brahms showed the great composers creating a song for the heart from the heart. Ms. Kasanders caressed each note with a clarion call for love. As a lad, I recall “You’re the song angels sing” which was taken from Brahms and made into a popular song, sung by American film tenor Mario Lanza for the film Because You’re Mine. (1953) It is one of his best recordings and featured young and talented soprano Doretta Morrow. Both Lanza and Morrow, united at the end of the film, died young. From the College of Performing Arts, Mannes School of Music and The New School, comes American bass-baritone Michael Pitocchi. Mr. Pitocchi sang “Vous qui faites” from Faust by Gounod. I love the rousing laughter in this aria and am always aware of the devil afoot. Mr. Pitocchi captured the devil’s rich tapestry of singing sarcasm and cruel infectious laughter. His rich basso and downward vocal excursions, took one right to hell and back. The 1953 film Tonight We Sing, featured the great Italian basso Ezio Pinza (1892-1957) as Russian basso legend Fyodor Chaliapin. (1873-1938) Pinza sings several scenes from Faust including the trio, with the voice of tenor Jan Peerce and soprano Roberta Peters. The great star of the MetOpera and South Pacific was in fresh voice at age 60 and sang “Vous qui faites” marvelously. Hopefully, Mr. Pitocchi will follow in his footsteps. Pitocchi’s song selection was “The Leaves Rustled Sadly” by a 19 year old Mussorgsky. A haunting plea from a lonely heart-Russian style. Mr. Pitocchi will, I am certain, fill the void today of a lack of great dark voices. From the Manhattan School of Music, Xiaotong Cao, soprano was the last in this exciting concert. Her aria was “Stridono Lassu” from Leoncavallo’s I Pagliacci. Her beautiful voice is full and rich yet flexible and light when needed. Her vocal palette is broad and colorful. Nedda wants to be free as a bird. Canio, an older clown rescued her and gave her a life. Nedda is bored and has a young lover and wants to be as free as a bird. The part calls for dexterity vocally and passion physically. One felt these two at work in Cao’s sizzling interpretation. Incidentally, the composer, Leoncavallo’s father, was the actual judge in the trial of Canio who murdered Nedda. Ms. Cao’s second selection was a song “Chere nuit” by Bachelet written for the great soprano Nellie Melba and a favorite of today’s great mezzo Susan Graham. It was sung with charm and sentiment. The pianist Mikhail Hallak was excellent. He played with a special passion which coupled with elegance was as good as a full orchestra! 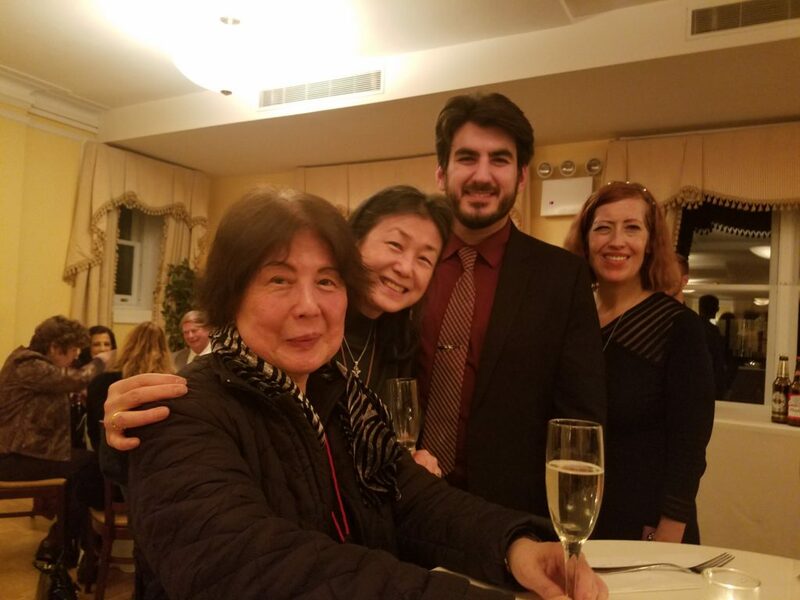 Mr. Hallak is from the Young Artist Development Program of the Metropolitan Opera. 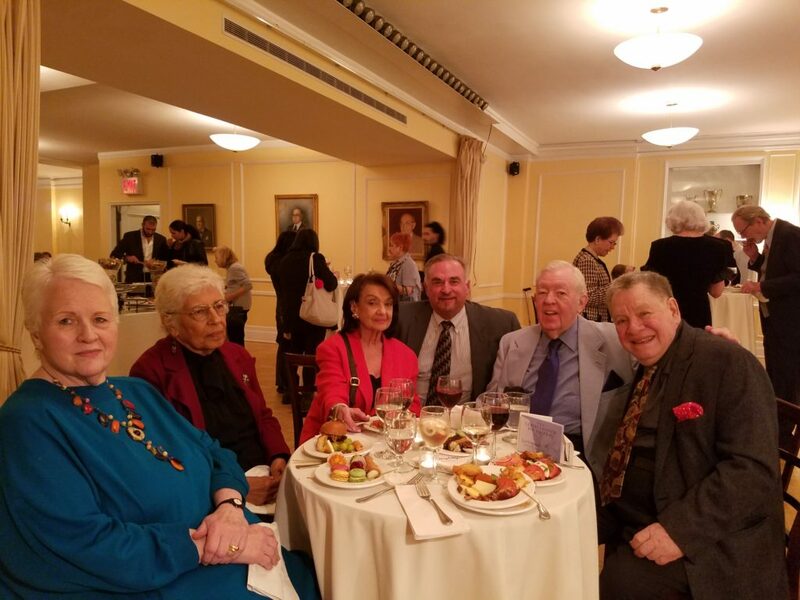 It was nice to chat with so many friends and opera lovers at the delicious reception: Jane Shaulis and Joe Gasperec from Opera Index, Glenn Morton from Classic Lyric Arts, Gloria Gari from The Giulio Gari Foundation, Maestro Eve Queler, whose new book entitled A View from the Podium has many brilliant anecdotes and photographs of her fabulous career, legendary dramatic soprano Elinor Ross and her artist son, Ross, mezzo-soprano Rosalind Elias looking as radiant as in her current profile in Opera News by Editor F. Paul Driscoll, opera lecturer Lou Barrella, Alfred and Christine Palladino, from the Columbus Citizens Foundation, Arthur and Susan Stout, French diction teacher, International Concerts Diana Corto and Lawrence Jones, export consultant Michèle and Anthony Classe, Joyce Greenberg and Ralph Petrarca, Samuel & Eliane Cavin, Reiko Osumi and countless others who support and love musical nights like these. All the best to these young singers, all of whom were given scholarship and stipends to provide for their careers. They will, all like Spring, make opera “reborn” for the next generation. Thanks, Nino, for your report on a very fine evening of music. Every effort to support the journey of young artists is important beyond our comprehension. What would our world be like without the talent, passion, dedication, and hope of young people who feel that they simply must create a life in music?! ?